The latest economic survey of Delhi was tabled by Deputy Chief Minister Sisodia on Monday in the Assembly, according to which the national capital’s GDP and per capita income is estimated to have increased in the last fiscal year. However, debt is still a big concern for the government. Over the last fiscal, Delhi’s GDP is estimated at Rs 6.86 lakh crore for 2017-18 – an increase by 11 percent. Per capita income of the city registers almost three times the national average. 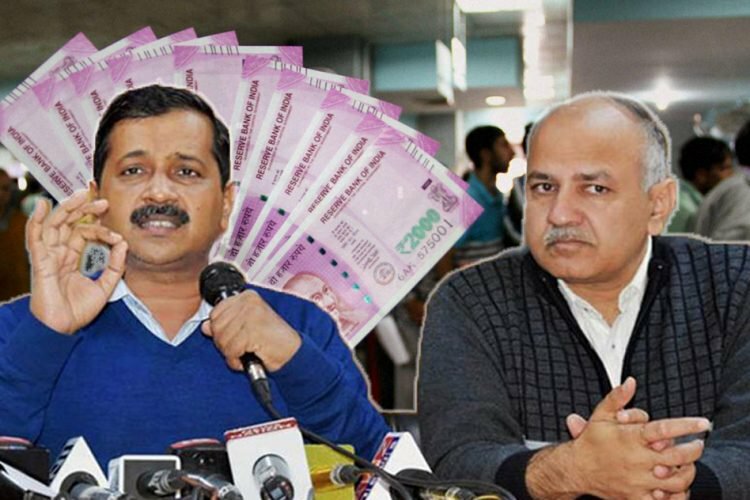 According to the survey, Delhi’s per capita income showed an estimated increase by Rs 29,000 which now stands at nearly Rs 3,29,093 – second highest in the country. In previous year’s economic survey, the per capita income was pegged at Rs 3,00,793. In addition to the per capita income, the survey also revealed a surge in spending in schools and rise in a number of beds in hospitals in addition to lowest death rate and second highest life expectancy in the country. The state government has also noted the growth of 11.22 percent advanced estimate of Gross State Domestic Product (GSDP) at current prices during 2017-18 which is, Rs 6.86 crore, over 2016-17’s GSDP of Rs 6.22 crore. The Delhi government registers a growth of 3.03 percent in tax collection in the year 2016-17. However, the government expects to see a growth of 19.33 percent over the previous year. The survey suggests Delhi’s economy as a dominant service sector. The contribution of the tertiary sector to GSVA stood at 85.92%, according to the Advance Estimates of GSVA at current prices for the year 2017-18, followed by 12.04% from the secondary sector and 2.04% by the primary sector. However, debt is still a major concern which according to the survey in the previous ten years has increased by more than Rs 8,000 crore. The city government had noted outstanding debt of Rs 25,338.96 crore in 2007-08, equalling 16.04% of its GSDP. The report claimed that the situation was “under control”, despite the increase in debt. The number of unemployed people surged to 12.97 lakh in 2016 at employment exchanges against 5.56 lakh in 2006.